Have you wanted to listen, rather than read, sermons? Perhaps while exercising, or while driving, or while completing household chores? Our new podcast offers just such an opportunity! 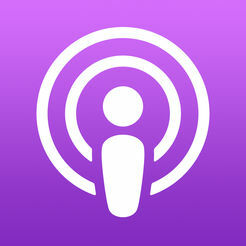 We’re test-piloting a podcast feed. Through your favorite podcast provider (iTunes, Stitcher, etc. ), you can subscribe to us. Visit your provider and search for eastmanfirst. It should pop right up. The link to the iTunes feed is also available below. Please let us know if you find this helpful and useable. We will be uploading sermons on a weekly basis for now, checking to see if it’s a resource that’s utilized.